+ User can load company-specified preferences for screen and graph format, including nodes. + User can load company-specified measurement units and preferred names. + User can load company-specified default graph schema settings. + User can show and hide menu tree nodes. + Python scripts are now available in Settings folder. * Export Header error at nodes with header memo fields now corrected. * Latitude/longitude conversion error now corrected. + Export Header now exports tagged records, not currently displayed records. + Zero mass flow automatically entered for SHUT-IN downhole PT profiles. + Mass flow checked for spinner runs, with user option to change sign. + Graph Schema settings available from Graph Settings screen. + Non-visible columns now available for selection when importing data. * Header key fields hidden in detail table if visibility revetts to default settings. + Set Required Fields option in Tools allows customisation of required fields on New. * Fixed error when creating new Access databases. ^ Database version increased to 32 for RequiredFields table. + Increment = 0 for automatic axis increment values on zoom. + Logarithmic axis labels improved, adjustable by Increment setting. + Chemistry module now handles detection limits (e.g. < 1 ppm). + Chemistry detection limit option user-selectable in Preferences. + Patterns and colours available for well lithology, formation, alteration and interpretation data. + Casing shoe, major feed and top of liner displayed in edit graph. + Graph schema is refreshed as data is entered or modified. + Read-only fields are now just that – unable to be modified. + New PT-S test type available for PT surveys runs with a spinner tool. + New SPIN-PT test type for spinner surveys run with PT measurements. + Test types automatically upgraded for PT and SPIN data sets with corresponding identifiers. + New [Calculated Well Pressure] field in WELPRES for monitor pressure adjustments. + Dependent axis title changed to field name if only one field plotted. + Graphical display of well lithology, formation, alteration and interpretation columns. + Sample database (atlantis.mdb) automatically relpaced by new DB version. + Existing sample database saved to backup (atlantis_Vnn_yyyymmdd) so no data lost. + Sample database link always available for new users to gain familarity with program. * Numeric lookups now work correctly. * Header information refreshed if lookups changed. * Graph schema ordering corrected for disabled and null field cases. * Upgrades now use version number to implement system changes. * Data changes in Python scripts correctly registered in edited data. ^ Database version increased from 30 to 31 to accommodate table changes. + Graph options change at different nodes, reflecting the underlying data type. + Top and Bottom values are now calculated for Top/Bottom graph types. + Graph toolbar icon indicates the currently-selected graph type. + Time Calcs wording has been changed from Datum to Zero Point. + Deviation/Location graphs are available for planned wells. + Synchronization of graph settings is improved across multiple windows. + Apply option now transfers settings made in a different window. + Core Register added to the Geology module – see “What’s New” in Help. + XY Caliper and Cement Bond logs added to the Downhole Logging module. + Casing Size field increased to allow longer casing strings. + Standard and Non-Standard Casing Sizes to provide diameter flexibility. + Downhole Logging Equipment field now functions as a lookup. + Top of Liner field added to the WELL table. + Lithology Process option to search and list available cores with specified rock types. + Ctrl-Click overwrites previous selection, when selecting data from filter bar picklist. + Detail Filter option to tag all records that remain with detail data after filter application. + Top of Liner can be displayed on Quick Graph and Multiple Graphs. + Preference option to auto-open new windows at the current node. + Preference option to separately specify filter and current record settings on program close. + Multi-lookup fields allowing multiple values available in Core Register module. + Option (user-beware) to empty IDLIST table if not empty after previous unorthodox exit. + Lookup values auto-filled on key press now exclude the trailing Comment. + Separate Error and Information panes in Data Entry and Edit Header windows. + Improved Accurate Cell Edit behavior in Data Entry window. + Reinjection FType options now restricted to N or 1. + Flow sign checked for injection tests. + Auto-display of Weir Water Pressure or Height in weirbox discharge tests. + Mapping Scale Factor defaults to 0.9996 when UTM is checked. + Graph Menu separated into Quick Graph and Multiple Graph options. + Lip pressure nodes rationalized into weir, estimated enthalpy and dry steam cases. + Child Instances has been moved to Windows menu. + Map options have been modified to refer to csv files, not ASCII files. + Node change speed between related nodes improved by restricting field data loads. + Export Header speed improved by suppressing scroll calls. + Reservoir data edit and save speeds improved by minimizing database queries. + Filter groups can now be saved at the Geology node. + Export Default File Type saved to preferences only if global file type not selected. * Disabled series now hidden if “Include disabled series in schema cycling” is checked. * Weir (Brine Only) calculation error with undefined Separation Pressure is corrected. * Data Entry window modified to prevent obscuring one panel with another. * Casing Size Rename procedure modified to preserve leading space. * Log History Delete now records the correct data record. * Hyphens removed from user names to prevent table creation errors in some cases. * Data integrity date checks corrected. * Filter Groups can now be deleted. * Tagged and filter group conflict caused by the same name is now prevented. * Corrected cumulative mass calculations when discharge period < calculation interval. * Feedzone special procedures modified to recognize 5 Estimated Permeability levels. * A number of superfluous menu options removed from the main menu. * Unused Data Transfer option removed from Menu Tree. ^ Database version increased from 29 to 30. + Added Column Empty function in Data Entry window. * Fixed errors in dual weirbox calculations. * Fixed errors associated with import and export of volume flow data (gpm). * Fixed multiple graph legend display errors when first data set has empty columns. * Fixed second worksheet multiple graphing errors at Discharge node. + Graph Schema has been substantially redesigned. + independent cycling of line colour, line type, symbol and symbol colour. + Line colour and symbol colour can be offset from each other. + Symbol frequency can be specified, either by thinning or maximum count. + Non-solid lines displayed correctly for dense data sets (Line Width = 1 only). + Additional symbols (left triangle/right triangle) added to available symbols. + Individual quick and multiple graph schema rules can be saved to each node. + CO2 Flux, Hg Flux and CH4 Flux fields added to Soil Chemistry table (SOILCHEM). + Notes field added to soil survey header table (SOILSURV). + SourceDataFile field added to SOILSURV and various well flow header tables. + Lookup added for Tracer Material field in Tracer header table (TRACINJ). + Gauge Offset field changed to Zero Flow Height in LIPHEAD and WEIRHEAD tables. + Zero Flow Pressure, Configuration and Primary Weir Data added to LIPHEAD and WEIRHEAD. + Weir Water Pressure and Weirbox ID fields added to LIPDATA and WEIRDATA tables. + Foreground and Background fields added to ROCKTYPE and FORMATN tables. + Weir pressure measurements can now be used as primary data for weirbox flows. + Conversion from mass flow to volumetric flow (in gpm) at integer °F increments. + Discharge lip pressure calculations allow dual lip pressure/weirbox configuration. + Discharge calculations using weir and estimated enthalpy allow dual weirboxes. * Database upgrade procedure corrected and improved. ^ Database upgrade to Version 29 because of table structure changes. + Reservoir Transient – Measurement Date and Time calculated from Time field. * Dongle code changed to ignore GeoData Manager multiple windows in user count. + Horner Time and Log Horner Time calculated for Time/Elapsed Time Multiple Graphs. + Multiple Graph Elapsed Time settings saved to preferences.ini for each node. + Hematite, anhydrite and sericite added to ALTERATIONPT table. + Anhydrite removed, Pyroclastics and Breccia added to LITHIOLOGY table. + Mapping form improved. UTM and Hemisphere added to MAPPING table. + User login and Admin permission automatically entered in new SQL Server database. + Cursor auto-advances to next record when header record is deleted. + Measurement date auto-copied down for lip pressure discharge tests. + Well Category and Well Ownership fields added to the WELL table. * Filter settings now applied to correct field when header field order changed. * Power User cannot assign Admin rights to new or existing user. * Alteration Code drop-down list shows Alterations, not Descriptions. * Warning and graceful exit if user does not have rights to read tables in database. * Pressure field in Simulation – TOUGH2 module added to units system. * Ctrl-C (copy) now works properly in Object Inspector. * Main screen Status numbers now updated after edit. * A range of minor corrections in discharge calculations. ^ Database version increased to 28 for table changes listed above. + Multiple windows option now available. + Map View option to show sites by Site Group. + Data filter/sieve option now available in Data Entry Import. + Option to save sites in tagged data to a Site Group. + Power User now allowed to assign all permissions except Admin. + Additional fields in Kh & Skin in Interpreted module. + Very High and Very Low available in Estimated Permeability options. + Relative Permeability field added to Estimated Permeability lookup table. * Record select error after node change and filter corrected. ^ Database upgrade to Version 26 for IDLIST, KHSKIN, PERMTYP and other table changes. + Preferences and settings now saved to preferences.ini. + Range of tools to manage the new preferences.ini file. + Databases can be ordered in Database Manager. + Export to cross-section added for Porosity, Gamma and Velocity. + Most recent New identifiers remembered by database and node. + Map View option to label wells on currently-selected cross-section. * Site assignment to multi-segment cross-section corrected. * Database upgrade from old databases (< Version 11) fixed. * Rate of Penetration calculations corrected. * Quick Graph and Multiple Graph refresh on axis change restored. * Main screen Quick Graph schema used in Data Entry window. + New Geology | Alteration – Pont Data module, allowing 18 specified alteration minerals. + SourceDataFile and Notes fields added to GEOLOGY, DLHEAD and WIDIARY tables. + Preference (admin only) to specify edit duration validity of Data Entry user. + Map View – Improvements to display and labelling of selected cross-section. + Map Temperature/Pressure options – extrapolation decisions by individual data set. + Planned Wells – Surveyed Well option for externally-calculated deviation data. * Geology module – rock types and formations can now be entered, with codes auto-filled. * Data Entry – Column Fill in pressure fields now uses differential pressure increment. * Column visibility, column order and sort settings now stable when field names changed. ^ DB Version raised to 25 from 24 because of new tables and structure changes. + Minor tick settings added for quick graphs and multiple graphs. + Data entry click-able series can be set as a preference. + Power User permission level added, with universal rights except upgrades. + “New” option allowed at Reservoir | Downhole PT node, with choice of Well Test Type. + “New” option allowed at Chemistry major nodes, with choice of Sample Type. 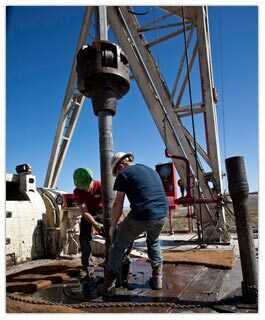 + Godevil node added to Well & Drilling | Casings module. * Monitor sub-nodes removed from Reservoir | Transient node. * Data entry sub-nodes removed from Chemistry | Well | Weirbox node. * Additional sub-nodes added to Reservoir | Pressure Drawdown node, as for Discharge. * Additional sub-nodes added to Steamfield | Production node, as for Discharge. * Tag table deleted on database change, to avoid “connected to database” error. * Edit Header option in Discharge sub-nodes now adds edits to WTDIARY table. * Edit Header at Well nodes allows changes to Location, RKB Height and Accuracy fields. + Dry steam / zero flow lip pressure option if zero brine flow detected. + [Offset] field added to WELDEVI and WELPDEVI to record absolute well deviation. + Show and Hide options for Casing Shoe and Major Feed legend in Quick/Multiple Graphs. + Preferences for initial settings of Casing Shoe and Major Feed graph display. + Current header record now remembered after header filter operations. * Significant speed improvement in Header Filter operations. ^ Raised DB version from 23 to 24 for WELDEVI and WELPDEVI table changes. + Option to calculate deviated well offsets from inclination and azimuth. + Draggable tags on Casing Shoe and Major Feed symbols in Multiple Graph. + Improved Tag All speed for case where Quick Graph is displayed. + Improved speed of Sort Header option. * Corrected Graph title in Data Entry screen. * New header record now remembered and highlighted after creation. * Field selections now correctly remembers field widths. * Fixed query error in Detail Select when Detail Sort is defined. + Casing Shoe display option in both quick graphs and multiple graphs. + Major Feed display option in both quick graphs and multiple graphs. + Option to save header and/or detail sort order at each node. + Click-able graph in Data Entry window to jump to corresponding record in table. + Added grid surface table, ESSURF, for 3D Resistivity module. + 3D Resistivity option to autofill parameters from grid data (regular N-S grids). + 3D Resistivity option to autofill parameters from model data (regular N-S grids). + Improved Data Entry Check function to simply count errors in some cases. + Function (in Tools menu) to globally turn Preferred Names on and off. + Same unit type now allowed on both dependent axes. + Separate Point/Line/Stairs settings for each dependent axis. + Added weir + estimated enthalpy node in Reservoir Discharge. + Added [Test Enthalpy] field (for estimated enthalpy) to Weirhead table. + Added Mass Flow -> Volume Flow unit conversions for 270 degF temperature. * User specification of separation pressure in discharge calculations. * Fixed occasional default filter error after filter bar auto-reset. * Preferred names now listed in Graph Settings dropdown lists. * Graph refresh in Data Entry window after data sort. * Field Elevation, not sea level, now used for field-wide pressure conversions. ^ Raised DB version from 22 to 23 for ESSURF and WEIRHEAD table changes. + Graph series characteristics now specified by each dependent axis. * Optimised Save speed after editing wells. * Improved Graph Schema behaviour to better match expectations. * Fixed Quick Graph legend error when null series selected. + Added Primary Survey Data look-up values for new surveyed well. + Improved well deviation data entry checks and calculations. + [WidthSelection] field added to FIELDSELECTION table to hold column widths. + Export icons now reflect export file type. * Fixed slow node change after editing (SQL Server database). * Fixed Formation assignments for Geology Formation editing. * Fixed legend comment error caused by Notes field in detail table. * Long-standing field ordering error fixed. * Node changes optimised to increase speed. ^ Raised DB version from 21 to 22 for FieldSelection WidthSelection column. + Saturation Temperature field added to units system. + Improved Saturation Temperature transform in Multiple Graph window. + Absolute Value calculation added to Multiple Graph transform drop-down list. + Added [Inclination] and [Azimuth] fields to well deviation table, WELDEVI. + Add New Field option added to Multiple Graph transform drop-down list. + Orifice Dry Steam calculations implemented. + Added option to convert Mole Ratio values to Mass Ratios in Chemistry. + Flyover hints implemented in Data Entry header fields. + Read/write access to Lookup tables granted to all users. + Admin Mode in Unit Preferences restricted to Admin users. + Export of Memo fields to file or spreadsheet improved. + Horizontal scrolling implemented in Multiple Graph Series window. + Delete option displays identifiers of dataset to be deleted. + Improved Gravity module data entry options. * Column ordering errors fixed in header and detail tables. * Coordinate transformations implemented even when fields hidden. * Save to 2nd Worksheet saves only displayed fields, not all fields. * Drop-down field lists in Multiple Graph transforms use Preferred Names. * Sites on selected cross-section are refreshed when new cross-section created. * Selected sites deleted when Process is used to select new sites for a cross-section. * Injection module Map options fixed to work if Detail Select option is utilised. * Gravity module Bouguer Anomaly Map elevation error fixed. * DC and MT resistivity 1D modelling process path length warning provided. * Add New Cross-Section terminology improved in Map View pane. * Cross-section error with redrilled wells fixed. * Production module Map option errors fixed. * Multiple Graph error caused by column order changes now fixed. * Fixed depth/elevation calculation errors when null values in table. * Feedzone module Map by simulation layer fixed. * Simulation module Production History Process option fixed. * Fixed errors in Planned Well trajectory calculations for small offset wells. * Improved Help and Fill lookups when data entered by keyboard. ^ Raised DB version from 20 to 21 for WELL and WELDEVI table modifications. + Modified Geology Alteration module to be independent of Formation/Rock Type. ^ Raised DB version from 19 to 20 for alteration table modifications. + Implemented universal upgrade permission for Access databases. + Increased [Rock Type Code] and [Formation Code] fields to 10 characters. ^ Raised DB version from 18 to 19 for field modifications listed above. + Removed user permissions from Access databases. + Implemented separate graph schema for quick graphs and multiple graphs. + Implemented Saturation Temperature transform as drop-down option in Multiple Graph. * Fly-over hint implemented in error/message pane at foot of Data Entry window. * Fixed graph schema color order error. + Changed Process button to Process/3D to include file generation for 3D presentations. + Add 3D Process options at Well, Planned Well, Downhole PT and Interpreted PT nodes. + Added Well Dip field to the units system (sysunit.xml). * Modified variable adder implementation to optimize speed of node change. ^ Raised DB version from 17 to 18 for field modifications listed above. + Added Planned Well node with new tables WELLPLAN and WELPDEVI. + Implemented header/detail structure in Pressure Control Point (PCP) node. + Added WellGeometry field to WELL table, and lookup table WELLGEOM. + Added Notes memo field to Downhole Logging header table DLHEAD. * Changed Node field to Segment in Cross-section site tables. * Modified MapView to remember Trace, Cross-section and Site Label settings. * Modified main screen to remember tab settings on first visit to node. ^ Raised DB version from 16 to 17 for table modifications listed above. + Added preference to remember filter and tab settings at each node. + Added preference to remember current record at each node. + Added options in Search menu to reset remembered node settings to default. + Added preference to specify default Map View site label settings. + Added Map View option to display names of sites with data. + Added a range of mapping procedures for MT resistivity models. + Added bug report, information request and improvement suggestion options. * Fixed well group error if redrilled wells included. ^ Raised DB version from 15 to 16 for well group modifications. + Manual column moves now included in detail table column order Save procedure. + Column order and width Save procedures implemented in multiple graph workheet. + Preferences to set Map View cross-section and well trace visibility defaults. + Preference to display Map View well names at wellhead or wellbase. * Preferred names now used in Multiple Graph Series, Group and Legend options. * Current multiple graph type now automatically saved for each node. + Implemented title wrap main screen header and detail tables. + Implemented fly-over hints to header and detail tables. + Added RKB Height required field in Well New option. * Improved grid refresh speed in edit screen detail table. * Modified Detail Filter to use preferred field names. * Replaced Profile references with Cross-Section. + Introduced csv default option for all Surfer data file generation. + Profile As Filter option auto-selects the chosen profile. + Warning if selected data is not displayed with current filter settings. * Corrected mapping output error with long well names. * Corrected Detail Tagged report to match current tagged status. + Edit window modified to use detail column widths set in main screen. + Modified brine orifice calculations to return zero flow when dP undefined. * Corrected brine orifice calculations, removing liquid compression error. * Corrected column visibility error affecting key fields. + Restricted database upgrades to Admin users. + Added EditHeader to allow quick editing of non-numeric header fields. * Fixed map view to correctly display filtered sites without data. + Implemented network dongle protection. + Added mmol/mol unit to Concentration unit type. * Fixed Preferred Field Name error in Multiple Graph Transformers option. + Added [Pipe Diameter] to lipdata table to allow diameter changes during test. + Added [Test Separation Pressure] to liphead table to facilitate data entry. + Modified Column Order form to promote intuitive use. + Improved functionality of Column Fill option in Data Entry window. + Added Elapsed Time entry for SFTT, PBU and PFO data types. + Added field datum options in Elapsed Time calculations in Multiple Graph. + Added Tools -> Rebuild All option to re-index tables if keys are lost. * Fixed error in [Enthalpy defined by] in chemdata with K-Na G Giggenbach. * Fixed Export form in Data Entry window to access field selections. * Modified Multigraph Transforms option to use Preferred Names in field lists. * Fixed error when tagging record in empty table. * Removed erroneous time formatting in numeric [Time] field in welpres. * Increased size of fields in idlist table to match identifier field sizes. ^ Raised DB version from 13 to 14 for lipdata modifications. ^ Raised DB version from 14 to 15 for idlist modifications. + Added Mud Logging node in Geology module with pre-defined lithologies. + Increased the size of following identifier and lookup fields. + Introduced Temperature Difference unit type, used for [Temperature Gain]. + Added Natural Gamma and Sonic Velocity tables in Downhole Logging module. * Fixed error in Unit Preferences that prevented addition of a new Unit Type. * Modified Legend form in Multiple Graphs to operate with Windows 120 dpi font. * Correctly ordered profile list after a new profile is added. * Fixed Multiple Graph date check error in drilling returns module. * Fixed rounding error so that numeric fields can be reliably queried by value. * Improved scrolling speed in Edit window grids. * Fixed error caused by commas in Multiple Graph title. * Restricted database upgrades to Admin Permission Level. ^ Raised DB Version from 12 to 13 for new tables and field size increases. + Implemented Save option in Database Manager SQL Evaluation panel. + Implemented Export option in Database Manager SQL Evaluation panel. + Added Density and Porosity tables to Downhole Logging module. + Added SourceDataFile field to downhole logging header table. + Added averaging and data reduction in downhole logging Edit Process. * Fixed New and Delete error for header-only nodes with undefined site table. * Fixed Lookup Help & Fill sort error with Access databases. * Fixed downhole logging profile Python procedures. * Fixed import error so that Memo fields (e.g. Notes) are now imported. * Fixed fly-over hints for the various Export options. ^ Raised DB Version from 11 to 12 for new downhole logging tables and fields. + Implemented Data Entry permission level. + Added checks to prompt for zero flow at the end of discharge tests. + Added checks for data extending past the date of a well redrill. + Implemented support for European number format. + Implemented European and American date support in Import window. + Added approximate mass flow conversions for bbl/day at 200F and 330F. + Added Vertical Discharge lip pressure options in ptree. * Posted Detail Select values on Apply to Detail. * Modified menu tree icons for various permissions. * Fixed Faults Profile error. * Reinstated column colours for calculated fields in Data Entry window. * Reinstated column colours for ignored columns in Import window. * Fix to ensure only valid Test Start Times are copied to Measurement Time. * Fixed error in Dip_Direction lookups in Faults module. + Additional water level map and profile options. + Additional production parameter Map options. * Fixed “Index out of bounds” error when untagging records. * Fixed profile draw error with latitude/longitude coordinates in Map View. * Fixed filtered site display error in Map View. * Fixed memory leak on Node Change, associated with well traces. * Fixed well trace options in Map View. * Fixed error in Node 0 record when editing profiles and faults. * Fixed filter rules to allow filter by date range. * Fixed Export All error associated with SQL Server and memo fields. * Fixed Map error caused by duplicate depths in Reservoir Downhole data. + Added profile entry by mouse in the Map View screen. + Added Node auto-fill in Profile and Faults module for New data. + Added Primary Location selection option in Edit screen. + Added hardware key (dongle) protection. + Faults now drawn as labelled and coloured lines in Map View. + Updated GeoData Manager Help. + Added [Dip_Direction] field to “faultd” table and “dipdir” lookup table. + Added calculations based on dip direction and fault segment direction. * Fixed “Index out of bounds” error on node change after filter setting. * Empty Map now displayed even when no site data is present at node. * Refreshed Map View on adding or deleting sites. * Refreshed header pane for Edits when sites are in detail table. * Corrected Map View Lat/Lon Coordinate conversion. * Fixed Unit Preferences to apply unit type changes in graphs and edit headers. ^ Raised DB Version from 10 to 11 for Fault module changes. – Interpreted Temperature and Pressure modules. – Reservoir Temperature and Pressure modules. – Reservoir Pressure and Temperature modules. – Interpreted Pressure and Temperature modules. + Modified filter selection to automatically add wild card (*) to typed entries. + Added [Well Temperature Gradient] field to “widiary” table. * Increased size of [Test Start Time / ID] field from 8 to 16 characters. * Increased size of [Reference ID] field from 10 to 16 characters. * Optimised Edit calculations in the Interpreted module. * Optimised Check, Apply, Save and Process procedures in Edit mode. ^ Raised DB Version from 9 to 10 for Interpreted and Reservoir changes. – to automatically increase field sizes if specified. – to allow notified user-defined fields. – to trap for non-notified user-defined fields. + Total [Water CO2] calculated if HCO3, CO3 and free CO2 are all specified. + Increased size of [Well] field from 10 to 30 characters. * Modified menu tree icons indicating admin, module and read-only permissions. ^ Raised DB Version from 8 to 9 for Chemistry module changes. + Increased [Laboratory Sample No] field size from 10 to 16 characters. + Optimized Check, Apply and Save procedures at the Edit screen. * Fixed index error when second graph worksheet has more series than first. * Fixed NetCheck error when header order is different from table order. – in the Splash Screen. – in the Help About window. + Added [Temperature Gradient] and [Pressure Gradient] fields to intpt in Interpreted module. * Fixed truncated FieldSelection error. * Assigned various mapping conversion fields to Spatial Coordinate unit type. ^ Raised DB version to 8 in response to Field Selection table and intpt changes. * Fixed ‘Depth to parameter’ and ‘Elevation of parameter’ error in Map options. * Fixed 3D Process error caused by Spatial Coordinate unit type. + Added maximum value selection within a depth range to the Interpreted module. + Added maximum value selection within an elevation range to the Interpreted module. + Added pre-defined field selection option to export forms. + Added preferred name functionality to column ordering forms. + Added pre-defined field selection option to column ordering forms. + Added mouse wheel scrolling to edit detail table and multiple graph worksheet. * Fixed minor errors in column ordering form field controls. * Fixed error in production process calculations. + Added option to use/ignore data below bottom of well in Map and Profile procedures. * Fixed production process calculations of non-flow variables (pressure, temperature, enthalpy) at defined time-steps. * Modified production process calcs so undefined values are returned as nulls. * Fixed resistivity layer thickness error for first sounding in selection. + Added Spatial Coordinate unit type, to retain metric coordinates while choosing other horizontal length units. * Fixed Map View display for non-unique sites (these are possible in gravity, faults and simulation grid modules). + Modified MT table structure to store resistivity/phase data in the same record. + Added procedures to read EDI files for both impedance and resistivity. + Improved program start-up time by removing automatic units xml load if record number unchanged. + Added manual units xml load option to be used after program upgrades. * Removed border above and left of graphs copied from Multiple Graph module. * Fixed slow Edit and Delete operation when Quick Graph was displayed. * Fixed program slowdown after multiple-node operation. * Database version raised to 8 in response to new MT table structure. + Added Export All to export selected header and detail fields of tagged data. * Fixed Legend and Group error after column ordering in Multiple Graph worksheet. * Modified LogHistory to record New tests. + Added buttons, in Order window, to move fields to the first or last position in list. + Allowed individual selection of graph series in Multiple Graph option. + Well deviation traces displayed in Map View. * Modified and improved Graph Schema operation. * Implemented global registry path. – Blue cross – sites that contain data defined by current filter settings. – Black dot – sites that do not contain data defined by current filter settings. – Red cross – sites selected in the site filter (or survey filter) with data. – Red dot – sites selected in the site filter (or survey filter) without data. – Green cross – tagged sites (individual or by survey) with data. – Green dot – tagged sites without data. – Orange circle – sites attached to the selected profile. + Sites (except those belonging to a survey, fault or simulation grid) can be individually selected and unselected by mouse. + Rock chemistry from wells now allows entry of multiple samples from each well. * Vertical scroll implemented in detail lookup field. * Python procedures involving depth and elevation modified to better handle non-metric units. * Dialog boxes used in Python procedures modified to allow OK and Cancel. * Database version raised to 7 in response to faults, E-Scan module and dhlog groups. + Faults module implemented. Fault dip is clockwise, referenced to fault direction. + Export of intersections of faults with profiles as boundary lines. – export of single resistivity values for each layer. – export of multiple resistivity values (used for contouring). – export of layer interfaces as both boundary lines and post files. – export of sounding locations as post file or boundary line. – elevation of the top or bottom of selected layers as post file or boundary line. – depth or elevation to top or bottom of selected layers. – thickness of selected layers. – resistivity or conductance of selected layers. + Implementation of DC Resistivity 1D modelling application. – export of grid block and vertex locations in plan view and on profiles. – export of grid boundaries in plan view and on profiles. – export or modelled resistivities in plan view and on profiles. – new columns in tables (always placed at end of table). – new data in Lookup tables. * Default 3-layer MT model provided in 1D MT modelling application if no model specified. + Tag All operation sped up. + Filter Bar redraw suppressed when not required. + Selected Graph Legend fields saved to registry and available on next use. * Duplicate fields in Sort screen trapped. * Contouring allowed for data without a Site Date field. + Column widths retained when column order or visibility is changed. * Fixed Index bug on node changes. * Included latest configs etc.